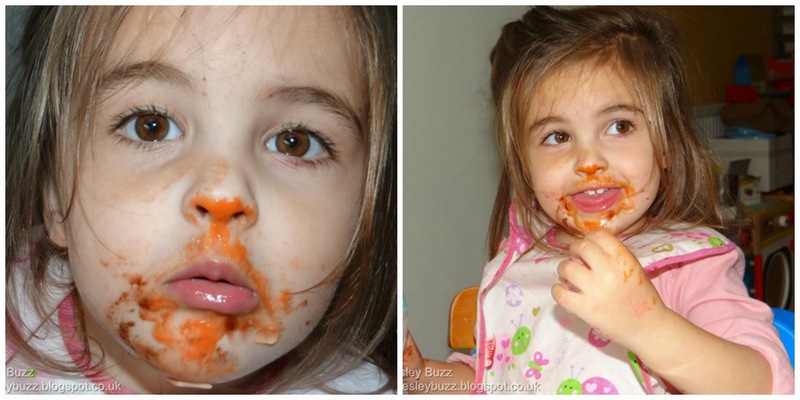 Mum in the MadHouse is hosting a Two Little Fleas blogger competition and by joining in I get to show you just how messy my kids can get. So we decided to stay away from messy play and messy food and take some nice arty photos outdoors with the last of the sunflowers. I was so pleased to learn how to use the setting on the camera which singles out one colour to really highlight the yellow of the sunflowers. It also highlighted the yellow pollen that made it onto Miss T's face! 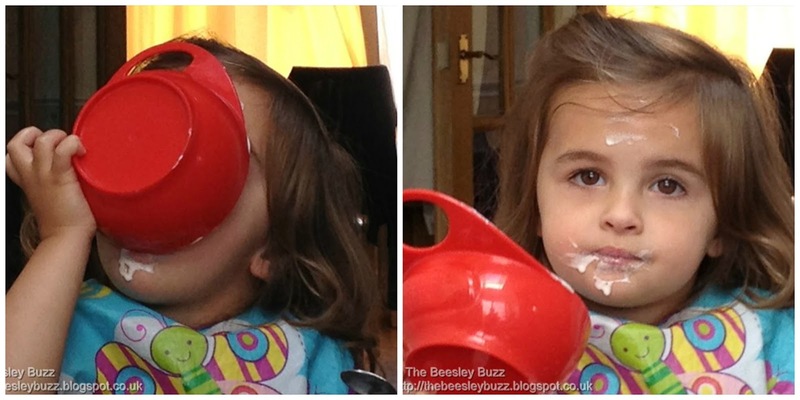 I guess that some kids are just messy and cute all the time! Ever noticed how a cup of tea helps to make things seem better. Perhaps it's because by stopping to have a cup of tea we are saying that we matter. We are taking a few moments out of our busy lives and non-stop schedules, whether that be by ourselves or enjoying a cuppa with friends. And what better way of truly celebrating the simple yet special moment of enjoying an cup of tea than to enjoy it with cake and make it a proper occasion of afternoon tea. 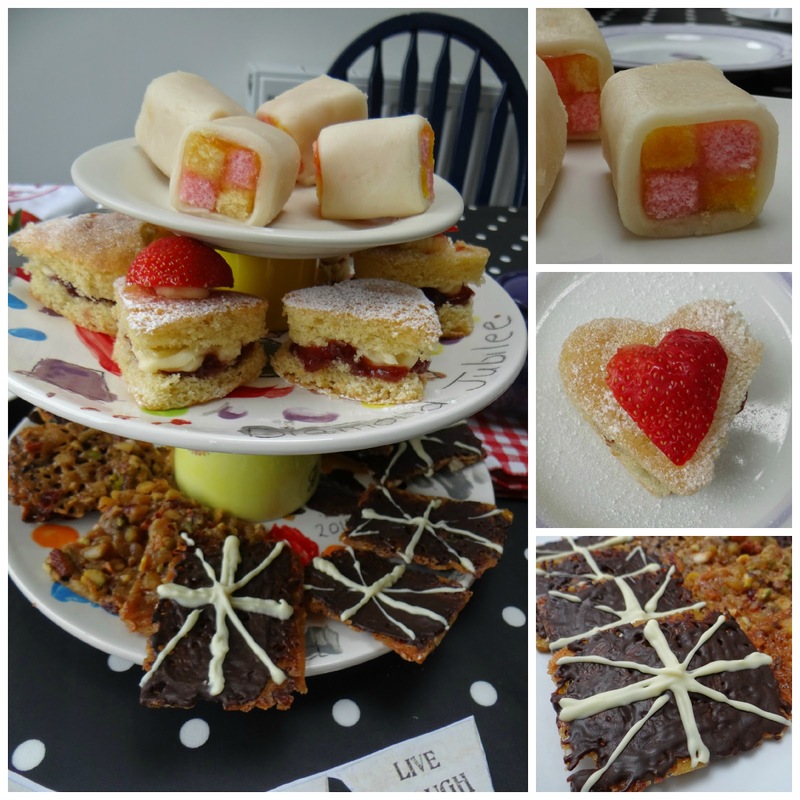 Denby's challenge is to 'bake the perfect afternoon tea delight' and who would have thought just how tricky it would be to create a single favourite cakey delight. Indeed when I think of afternoon tea, I think of vintage tables and chairs, bunting, and a three tiered cake stand with a variety of pretty cakes and things to eat. For me, part of what makes the occasion of afternoon tea so special is the choice of cakes. And I like the cakes to be small enough to actually try one of each so you really do get to have your cake and eat it, so to speak. I also wanted my cakes ideally to be based on British classics. So I've created my own twist on three baked delights: a Victoria sponge; the European-sounding, but British-created Battenberg cake; and not-so-British Florentines, but with a British-inspired chocolatey design on them. I chose to make the Florentines because I've adapted them to make them gluten free. Several people I know suffer from coeliac disease or are gluten intolerant and it wouldn't be fair to invite them over for afternoon tea if they can't join in the fun of eating the baked treats too. Look out for my own flavour twists in these recipes too! The most complicated recipe to make was the miniature Battenbergs because they were really quite fiddly (and time consuming) to put together. But they look so pretty and were so popular (Miss T kept coming back for more) that I'm glad I put the effort in. Miss T kept pinching the mini Battenberg cakes! 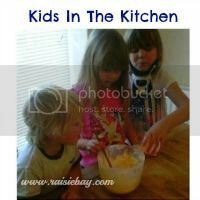 The other two recipes are simpler so bear with me! The Battenberg cake originated in the United Kingdom when it was made by the Royal household to celebrate the marriage of Queen Victoria's grand-daughter to Prince Louis of Battenberg. Making the actual sponges is fairly straight forward especially as it is an all-in-one mixture (no need to beat the sugar, butter and eggs first). But do allow enough time to assemble them. It can be a little fiddly to make such cute little Battenberg cakes. 1. Pre-heat the oven to 180C and line your cake tins. 2. With the exception of the saffron, pink food colouring and rose water, beat together all the other ingredients. 3. Then split the mixture into two bowls. 4. Into one of the bowls of mixture, add the saffron and mix well. This will make it look a yellow / slightly orange colour. 5. Into the other bowl add the rose water and the food colouring to make it look pink and smell lovely. 6. Pour the mixture into the two tins and bake in the oven for around 20-25 minutes. (you can do the skewer check to make sure it is cooked through). 7. Now for the tricky bit. You need to cut each sponge into very neat and tidy segments of the same size. I have bought a ruler I use for cookery and this ruler came in very handy! 8. Mix a little warm water that had been previously boiled into the apricot jam and mix to make it a little thinner. 9. Use the jam as 'glue' and glue together 4 of the mini Battenberg pieces to give that chequered effect. Cover the sides (not the ends) with more apricot jam. Then cover with pieces of marzipan rolled into long strips and cut to approximately the right size. 10. For these mini Battenbergs, each of the cakes was about 4cm long and the marzipan length needed for each was around 10.5cm. I used my trusty ruler to measure (and then pressed the edge into the marzipan and used the ruler to cut straight lines). 11. I used kitchen scissors to tidy up the edges where needed. It worked far better than trying to trim with a knife. When we made florentines a couple of months ago for the first time ever, we were pleasantly surprised at just how straightforward they are to make, yet they look beautifully impressive and look so delicate and pretty. They are perfect for afternoon tea because they are a light enough treat to eat without filling you up too much. As I already said, I wanted to make these gluten free but you can use plain flour instead of rice flour if you don't wish to make them gluten free. 1. Preheat the oven to 180C and line 2 or 3 baking trays with baking paper. Then prepare the dried fruit and nuts by chopping them ready. 2. Then melt the butter, sugar and golden syrup in a pan on the hob. This only takes a few minutes which is why you need the other ingredients ready. I usually forget to do this and then panic trying to chop the fruit and nuts quickly. 3. Once the butter, sugar and golden syrup have melted, remove from the hob. Add the rice flour to the pan and mix. Then add in all the other other ingredients. The pistachios and ginger are my little twist to the recipe as I adore pistachios. 4. Place small spoonfuls of the mixture onto the baking trays. Leave plenty of space between them as they will spread and remember you will only need very small dollops of the mixture. 6. leave to cool a little until they can be removed easily from the baking paper. Then using scissors cut them into rectangle shapes. 7. Melt the dark chocolate in a bowl above a pan of warm water on the hob. Then spread over the back (flat side) of each florentine. Leave to set. 8. Melt the white chocolate as above. Then pour into a piping bag you can make yourself from greaseproof paper. Pipe on a Union Jack style design onto the dark chocolate. Leave to set. Heart shaped mini Victoria sponge cakes and strawberries. The recipe here is for a classic victoria sponge cake, the victoria sponge being named after Queen Victoria who enjoyed a piece of sponge cake with her afternoon tea. A victoria sponge can be filled with either whipped cream or a butter icing / buttercream style filling. My kids adore butter icing so I used that, although fresh cream would also taste amazing especially with the fresh strawberries. Strawberries to place on top. 1. Preheat oven to 180C. Grease and line a cake tin. I use a fry light spray to grease the tin as it is a speedy way of doing it. 2. Mix together the cake ingredients in a bowl. This is again a really straightforward cake to make because it is an all-in-one method of mixing everything at the same time. Because this recipe uses self-raising flour and baking powder, you are not trying to beat any extra air into it, so as soon as the ingredients are combined, you can stop mixing. 3. Spoon into the tin and bake in the oven for 25 minutes. 5. When cool, using a heart cutter, cut out heart shapes. 6. Then assemble by cutting each heart in half and spreading a layer of jam and then piping on some of the butter icing. On top of each, pipe a small blob of butter icing, then top with half a strawberry. You can use the strawberries' natural heart shape to accentuate the heart shape of the cakes. 7. You can also sieve on a little icing sugar if desired. A couple of years ago during Jubilee year, the boys each decorated a Jubilee plate and so I've used these with a cup placed between them to make a home-made cake stand for my afternoon tea, together with another cup and further small plate on top for the final third tier. So there you have it, my perfect afternoon tea...A choice of mini saffron and rose battenbergs, Heart-shaped victoria sponge cakes, and gluten-free pistachio and ginger florentines. The only thing missing is the perfect person to enjoy afternoon tea with...Mary Berry herself. Oh hang on a minute, we did get to have afternoon tea with her last Saturday but that's a whole other story! This is my entry into the Denby Cake-Off. You can find out more here. Last Saturday whilst the kids were enjoying a Nintendo themed day in London (more about that soon), I headed to Oxford Circus for a Moroccan cooking class at L'atalier des chefs. 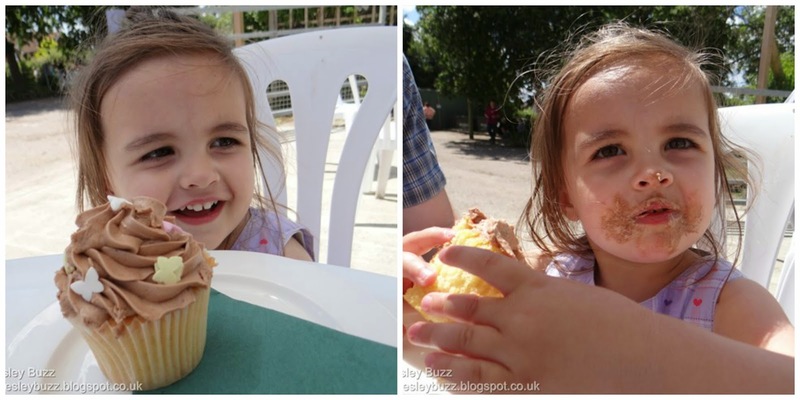 We had visited the St Paul's venue when D took part in an Actimel kids cookeryworkshop recently, so I knew that L'atalier des chefs had good facilities and I was really looking forward to this course. I have to admit that I felt a little nervous going on my own as I imagined that everyone else there would be in pairs or groups that knew each other. Some were their as individuals, others as pairs and a group of friends too. We soon got chatting as everyone arrived and I felt really relaxed to be around such a great bunch of people. The Moroccan cookery classes vary in length. The one I did was a 90 minute session and with three things on the menu to cook, I was wondering how we'd get it all done in the 90 minutes. In the kitchen area, we were positioned around 4 big islands, with 6 workstations set up on each. Everything we needed was ready waiting for us and after a quick demo from our tutor to show us the best way of prepping the vegetables and herbs we needed, we were able to get started ourselves. We worked as a team on our island, each tackling the vegetables for our Butternet Squash tagine and Baba Ganoush until they were ready to cook. The cooking area is at the front of the room and whilst we all took turns with the cooking, there was plenty of space for us all to see what was going on. We also made some great tasting flatbreads and saffron cous cous to go with our meal. Aprons are provided and you don't need to take notes as the recipes get emailed to you afterwards. Once our food was ready (indeed we managed it within the 90 minutes), we got to all sit together along a long table and enjoy the fruits of our labour. The meal truly tasted great. The baba ganoush was my favourite and I will be making it again at home for sure. The classes are reasonably priced and the fact that you get to relax and enjoy your delicious meal makes it a great alternative to going for a meal out as you get to learn some new skills at the same time. 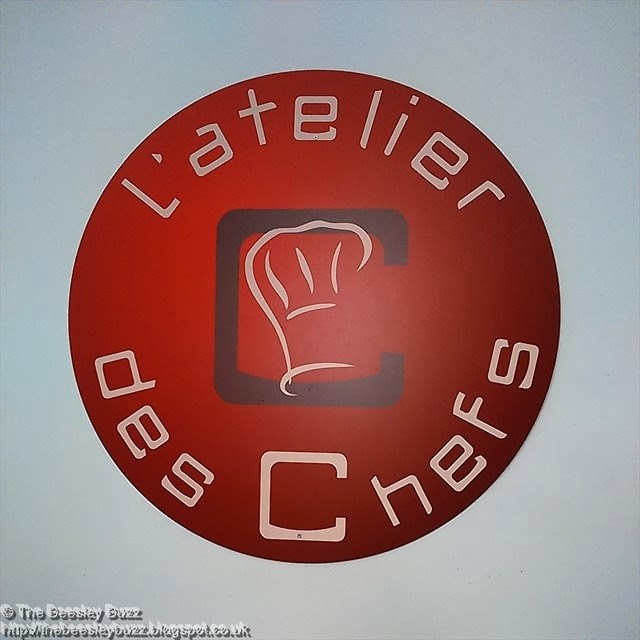 A huge thank you to L'atalier des chefs for a great class and also a big thank you to Healthier Mummy as I won the class through Carole's blog. Earlier in the year the boys were each sent a fantastic Mega Box of Awesome, and you can find out what we thought of it here. You might also remember from our video that Miss T was quite excited about the Mega Box of Awesome that J and D received. Well when the lovely people at Box of Awesome (who are also the brains behind Box of Awesome's counterpart, Box of OMG) saw just how taken Miss T was, they very kindly sent her a box of her own. She received a fantastic Mega Box of OMG all for herself! We've also discovered the brilliant iMovie app recently and whereas video making has usually been Richard's remit, now the kids love making their own movies using iMovie. iMovie makes it so easy to make cool videos that even I decided to have a go. So here is my very own movie of Miss T unboxing her Mega Box of OMG! Miss T received this just before we set off on our road trip in August in case you were wondering why she suddenly looks a bit younger. Miss T was sent a Mega Box of OMG - We haven't been asked to blog about it - but have done so as we wanted to say thank you as it was really kind of Box of OMG to send Miss T her own box too! Would you describe yourself as stylish? 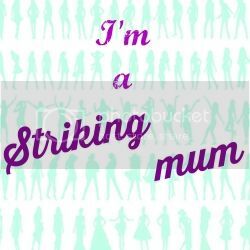 Has your answer to that question changed since becoming a mum? Describe a stylish outfit you wear/wore and loved. How important is it to have an individual sense of style as mum? Are you ever embarrassed about how you look when you are out and about? Do you judge people by the clothes they are wearing? Do you feel judged? Does having a sense of style all of your own help with self-confidence? 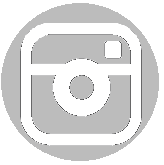 A challenge – put together an Autumn outfit and post a picture of you in it on your blog. If that is too much, you could just photograph the items in the outfit. You can use things you already have or throw caution to the wind and go on a shopping spree. I definitely would not describe myself as stylish. You will most often find me in tracksuit or jeans around the house and during our normal week. If we have a special occasion then I try to make a bit of effort, but comfort usually wins over style for me. The main reason being that I'm rather restricted when it comes to footwear because of my arthritis. The only shoes that are best for my back pain are trainers and whilst I can get away with wearing trainers day to day, they're not something you can get away with wearing stylishly with a dress for example! So that means I tend to wear stylish clothes less often and even when I do I have to do so for a short period of time e.g. just for an evening out rather than a whole day so that my shoes, sandals or boots I'm wearing with my outfit don't impact on my backpain too much. High heels are totally out of the question for me. I used to have to dress reasonably smart when I was working pre-children and because I'm not in that corporate environment now has meant that things have changed since having kids. I have very little time to spend on myself these days so I barely get time to even brush my hair let alone blow dry it or straighten it. I'm lucky to have a hairdresser who understands that so he cuts my hair in really low maintenance styles. One of the things I didn't appreciate before having children was how (relatively) slim I was. After having the boys I managed to get back into most my pre-pregnancy clothes after around 6 months or a year. Since having Miss T over 2 and a half years ago my weight keeps creeping up rather than down and unless I address that with either diet or exercise (which has its own complications again because of the arthritis) then I'm going to have to accept that I may never fit back into my pre-pregnancy clothes. We stopped watching ugly Betty after the first series when it started to get a bit too silly, but there is one quote that I remember well from it... When Ashley Jensen who played Christina said 'fashion is good for the soul'. Until that moment, I always thought of fashion as being a waste of money, far too superficial and used to think of the worlds problems that could be solved if the time, money, resources and effort that went into fashion went into doing good in the world. But actually when I thought about it, I realised that wearing clothes that look good and that you enjoy wearing, really can feel uplifting and make you feel good about yourself. I also realised that the two ideas (fashion and doing good) don't necessarily have to be mutually exclusive which I hope I've showed in my above outfit example. Buying from charity shops, upcycling clothes, charity fashion shows, clothing specifically designed for children in need / Red Nose Day/ breast cancer awareness and many other similar initiatives mean that fashion and good causes can potentially be successfully combined. It's so easy to lose so many aspects of our identity when we become a mother that if style is one way of reclaiming a sense of individualism and help me feel more like 'me' then that's a good thing in my opinion. Despite using that quote, I actually think that fashion and style are two very different things. There are people that seem to effortlessly look stylish whatever they wear, whilst others might be wearing items that are the height of fashion and yet it just doesn't work for them. So I guess it's important to find your own style rather than follow the crowd and make sure it is something that makes you feel confident and comfortable in your own skin. Not too much. I've probably had times when I've been overdressed or underdressed for a particular occasion but I guess most people have been there. There are probably a lot of tatty old clothes that I wear that should be thrown out a lot sooner. Old tracksuits, nighties, t-shirts that are really worn and sometimes even have holes in, I find really comfortable to wear. Although these days I wear really tatty things out and about less often and keep them for around the house. Sometimes I do feel like I'm the scruffy one because I don't usually bother about hair, make-up or nice clothes if I'm just spending the day doing school runs and toddler groups, but I don't think I actually mind too much about that because I always keep in mind another quote I came across as a teenager...'I can make myself ugly and I can make myself beautiful - Don't judge me by how I look'. It was a project we were doing at Youth Club and we made a poster with photos of us putting make up on to make the point about how we can choose to wear make up or not. So I guess I figure that I can put more effort in when I want to, but everyone can just take me or leave me as I am the rest of the time. I am sure that to some extent I do even without meaning to. I remember watching a TV programme a few years back where some high profile personalities went 'undercover' as homeless 'tramps' to see what it was like sleeping on the streets, One lady who was a well known actress (although I can't remember who everyone was on the programme as it was so long ago now) went into a cafe and was thrown out purely because of how she was dressed (i.e. dressed to look like she was homeless).She had enough money to purchase some food and drink that day, just like any other paying customer, but because of how she looked she wasn't even able to go in the cafe. So I think to some extent people do judge others by the clothes they are wearing and also feel judged by the clothes they are wearing whether they mean to or not. People will usually get a first impression of someone and that first impression can be influenced by clothes / style. But I guess what's more important is to get to know someone beneath that first impression and as long as people give me that chance, then I don't mind even if they have judged me initially by appearance. I think it does if you are happy and comfortable with your style. Personally, I still think I'm finding my own style. I'm beginning to recognise clothes that I do particularly like and ones that I don't like. 7. 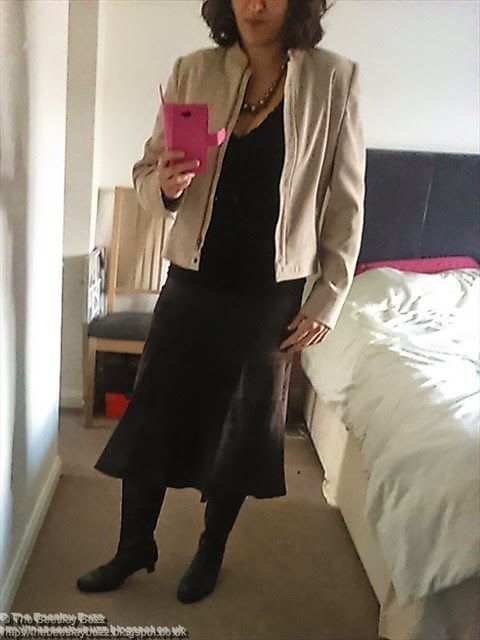 A challenge – put together an Autumn outfit and post a picture of you in it on your blog. See picture above for this as question 2 makes a great Autumn outfit in my opinion. Thank you Kate for a great set of thought-provoking questions! It is very difficult to say much about the plot of this book without giving too much away. So I shall stick to just a few basics from the opening pages, before going on to say how this book made me feel. The book opens in 1916, East London. Hannah Loxwood is a mother of two children, who is now living with her sister and brother-in-law since her own husband has gone to fight on the front line. We follow Hannah over the next couple of years, as her life comes together before.... nope, can't spoil it for you! This is a superbly written book, full of historic details and descriptions that let you see, hear and smell what is going on. The dingy and grimy streets, the noisy trams, the dark and oppressing stale air, the creek, the docks, the rations, and the bombs. Above all, we are reminded of how much times have changed and how difficult things were for some people just a hundred years ago. As Hannah's life changes in ways she could not have anticipated, and she experiences her father's illness and then suffers depression herself, the huge advances in social and medical support we now benefit from are stark reminders of how things were then. The closing chapters of this book are utterly moving. A twist I did not see coming, an outcome I was totally unprepared for. Juliet West has a real skill in developing believable interesting and multi-faceted characters, set in a place and time so carefully depicted that you can understand the underlying tensions, the social norms and the family values. This book is based on true accounts from the time, which add to a sense of desperation and shock. Yet it is quite conceivable that the tale of Hannah Loxwood is not unique, and the challenges she and her family face were all too familiar to many others. This is definitely one to read, but expect to be moved and shaken as the tale unfolds. 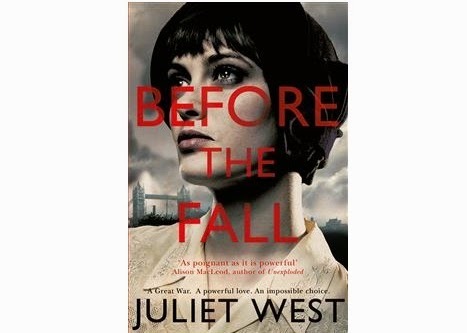 Before The Fall, by Juliet West is published by Pan Macmillan and available to order from their website. I just have to share this for a Small Steps Amazing Acheivements post about my little boy (well not so little now he is 10!) But this is the same little boy who started school at age 4 and was told he was naughty, that he didn't listen, that his parents couldn't control him, that he mustn't hit the other children, that he mustn't be rude to the teachers...When we got his diagnosis we realised that it was the anxiety and the problems that school was causing for him that was triggering these behaviours but there was no doubt about it, they were still highly undesirable behaviours. Fast forward 6 years...3 years of homeschool later...2 diagnoses later...2 schools later and this same child has been voted as Vice House Captain at school by his entire school! "Everyone is very proud of him. This has really given the other children something to aspire to!" It is almost miraculous that the little boy who everyone found difficult and didn't want to be like is now the one that other children aspire to be like. We can't really express just how proud of him we are. We were so proud when he came home with the form to apply for the position, giving his reasons why he should be nominated and filled it all in himself and he didn't even show us what he had written. It's not like him to put himself up for things like this - so that was an amazing achievement in itself and then to actually be awarded the position of Vice House Captain was just the icing on the cake! Today was the day that we decided to pick the last few remaining apples from our little apple tree in the garden. 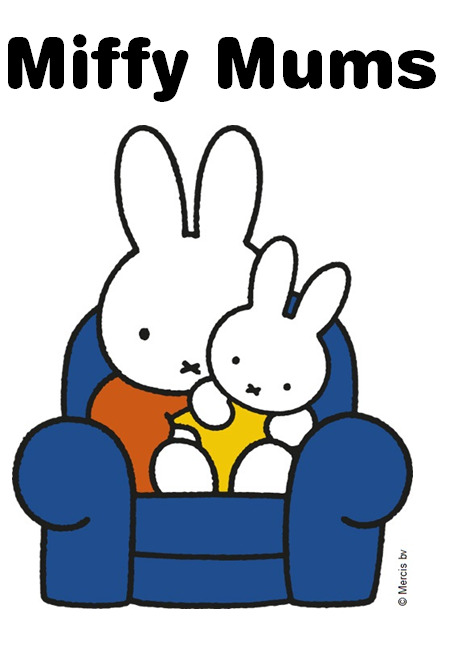 Today was also the day that Miss T decided to start potty training! Here she is sporting her Baba + Boo cloth nappy which we are going to be using as an alternative to pull-ups in the early stages of potty training. What better to make on a miserable Autumn day that a warming apple crumble! We tried to make it as healthy as possible by using wholewheat flour, oats and less sugar and butter. 1. I know a lot of people don't pre-cook the apple and I suppose you don't really need to but as a force of habit I chopped the apples and put them on the hob with a splash of water and a sprinkle of sugar just to steam them a little. 3. I used my Kenwood food processor (which has made such light work of things like this) to mix the flour and butter to make a mixture resembling breadcrumbs. I saved my Tesco loyalty points to get this food processor for free and it has been such a big help in the kitchen. Mega sharp though - I've already cut my finger on the blade - So I'm extra cautious when Miss T is helping. 4. Then we added the cinnamon and sugar and gave it another blitz to mix these into the breadcrumbs. Then finally added the oats and literally gave the machine a single pulse as I didn't want the oats chopped up but just to be mixed in. 5. Transfer the apples to an ovenproof dish and sprinkle with the crumble topping! Miss T enjoyed helping to sprinkle the topping on. 6. Bake in the oven for 35 to 45 minutes until the topping is cooked. Tastes great served with cream, ice cream or custard. It also felt really satisfying to know that we were able to make such a tasty dish from apples grown in our own back garden and with a few storecupboard ingredients making it a very budget friendly dish too. And so far, so good with the potty training too. 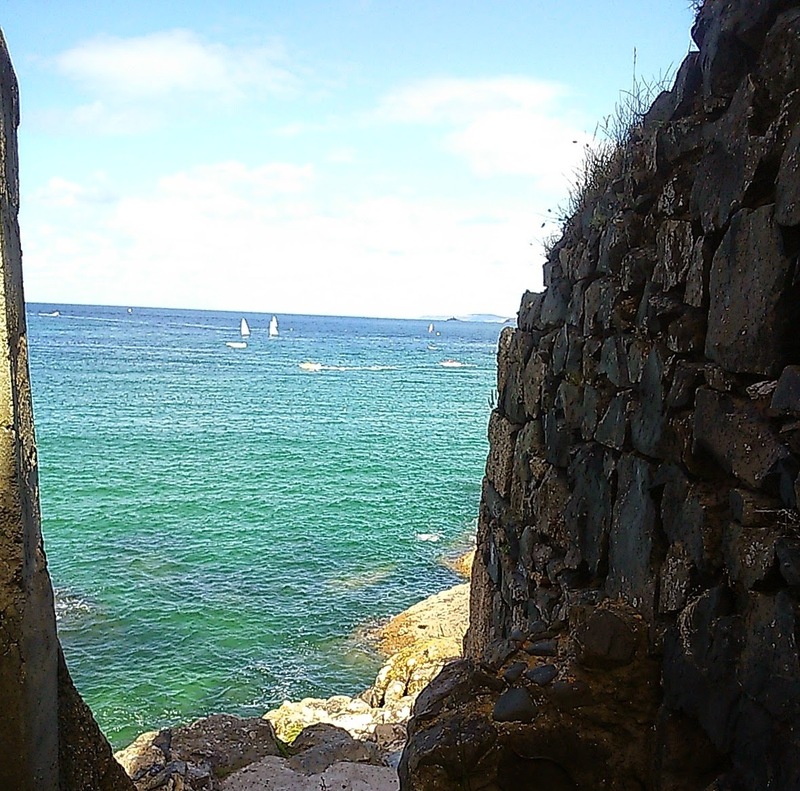 This photo was taken in St Ives when we were on our summer road trip. We were fortunate enough to experience the beauty and wonder of the ocean in many places on our road trip from the golden beaches of Bournemouth, seeing the Fowey Regatta in full swing at Fowey in Cornwall, then stopping at Clevedon for Sunday lunch overlooking the Bristol channel whilst en route to Wales. When staying at West Usk lighthouse in Newport we were utterly astonished at how the landscape changed with the fast tide coming in. We experienced this phenomenon again at Portmeirion having previously imagined the tide being something that slowly goes in and out - it was incredible to see it rise at such speed to totally transform the view and demonstrate the ocean's speed and power. So I had lots of photos I wanted to pick including some adorable ones of the seals we saw also in St Ives. The sea there forming a perfect habitat for them. But in the end I chose this one which I think of as 'A Glimpse of the Ocean'. Before we got down to the main part of the beach, we spotted this gap between the walls and rocks and it gave us promise and hope of what was out there. I love the contrast between the darkness of the rocks and the bright blue sea beyond. And then there's the hues of blue and green in-between. Regular readers of our blog will probably have spotted me mention on more than one occasion that I grew up by the sea and it means so much to me. As a child it was a place to escape to - whatever the season, whatever the weather - in fact the stormier the better as far as I was concerned. The sea was a place that was reliable - it was always there. Yet at the same time unpredictable and changing - like having a volatile personality. It was at the same time both a calming place to be (yes even in the stormy weather) and an exciting place to be - How I loved finding 'treasures' that had been spat out by the sea after high tides and storms. It was a place of discovery where you never got bored. And because the ocean means so much to me, whenever I get a glimpse of the ocean - my heart fills with excitement, hope and memories. As we no longer live near the sea, I try to make those moments matter whenever I take the kids to see the ocean and I hope that one day, they will love the ocean as much as I do. It's 6am and me and Miss T have just been awoken by the sound of a lad returning home from a night out belting out 'we all live in a yellow submarine' at the top of his lungs. Perils of being right in the centre of things I guess. This Beatles picture was made of jellybeans! Last night the wind and rain picked up and although movement on the boat was still minimal, the wind knocked over the chair outside so we got up in the middle of the night to bring that in so it didn't go flying off into the water. We weren't sure quite where to start with sightseeing in Liverpool because there is so much to see and do here. The rain soon cleared up and the Albert dock area has so much to offer that we decided not to go too far afield. We headed across the Albert Dock and went to the Liverpool Maritime Museum. We ended up staying there pretty much all day. It is free admission like many of the London museums but what we saw there was very different to any museums we've been to before. Miss T dresses ready for a journey on the Titanic - but manages to look like a cute version of a weeping angel! We spent a fair while looking at the Titanic history and the links with Liverpool there along with other ships linked to Liverpool. We learnt about imports and exports and the role ships played during the Second World War. The 'Seized' gallery was really fascinating showing items seized at customs over the years. We had lunch in the 'Dining room' restaurant on the top floor which has great views over the docks. There was a sniffer dog demonstration with Archie who is one of the sniffer dogs at Manchester airport. The kids really enjoyed that and got to stroke Archie at the end. The 3rd floor was dedicated to a slavery museum with lots of thought-provoking displays. There was also badge making and a kids area there too. We popped across to the Museum of Liverpool which was just a few minutes away and got to have a speedy look around there before closing time. Another simple dinner picked up from Tesco express to enjoy on the boat, then an early night for Miss T after she'd had a major tiredness tantrum earlier in the day. We let the boys stay up late to watch Smurfs2 which was showing on Sky. They watched it in their bedroom, whilst we watched it while packing our suitcases in the living area. Off to Leeds tomorrow. Night night. Written up on Thursday 28th August 2014 in Liverpool. This stay was day 10 of our Laterooms.com #52Sleeps roadtrip. Find out more here.